The frequently used crosscut fence DIGIT L will be even more user friendly as of 2017. 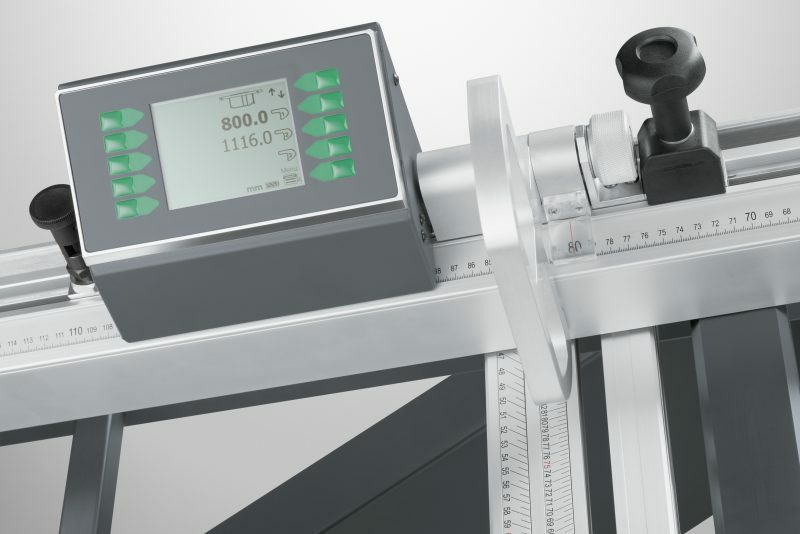 Altendorf’s design engineers have moved the scale closer to the operator to make it easier to read when pre-setting the dimension. The two new magnifying glasses also help to improve readability, enabling pre-settings to be made 30% faster. In addition, the process reliability of the DIGIT L has been increased considerably: The tape measure now also protects the signaling magnetic tape against damage and wear. These optimisation features for the DIGIT L help to increase the productivity and life of the system. To see how they can help you. Contact Altendorf Asia Pacific Pty Ltd.